Nature teaches us impressively, how optimal drive systems for certain swimming movements should look like. To move forward, the marine planarian and sepia create a continuous wave with their fins, which advances along their entire length. 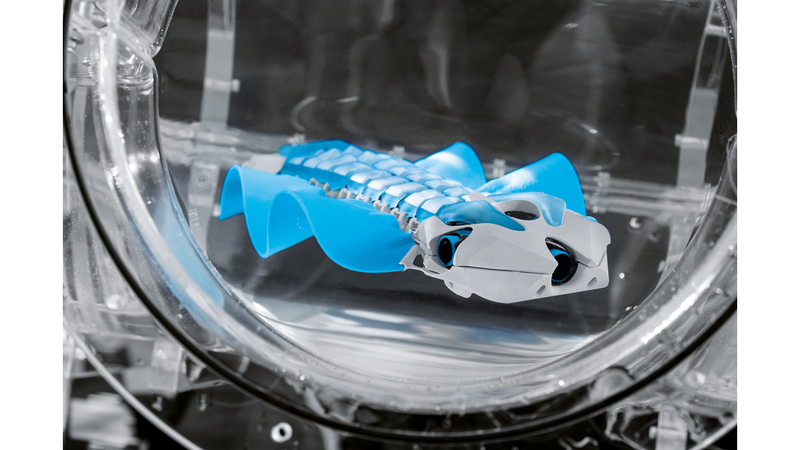 For the BionicFinWave, the bionics team was inspired by this undulating fin movement. The undulation pushes the water backwards, creating a forward thrust. This principle allows the BionicFinWave to maneuver forwards or backwards through an acrylic tube system.